A man who was mugged while paying for groceries at a 24-hour petrol station bravely chased after and caught the culprit, a court heard. 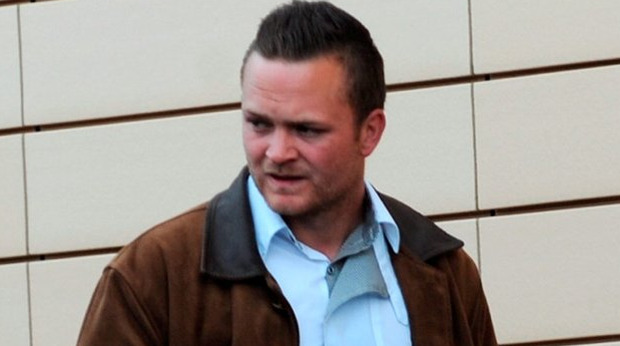 Michael Ward (25) snatched €250 from the victim's hand and he ran away. An off-duty garda saw what was happening, he intervened and he helped the young victim to detain the defendant. Sentencing Ward to four months in jail, Judge David McHugh said he had committed "a vile act on an innocent person". The defendant, with an address at Morgan Place in Blanchardstown, admitted before Blanchardstown District Court to stealing €250. The incident took place at Esso On The Run, Navan Road, Dublin 15 on January 17 last. Garda Canice Phelan said the petrol station is open 24 hours and the victim had gone to the hatch to buy a number of items when Ward snatched the money from him and ran off. Gda Phelan said the injured party chased after Ward and caught him. Gda Phelan said the victim, who is a foreign national, was helped by an off-duty garda who came upon the scene and Ward was arrested. The court heard Ward has 21 previous convictions, including six theft-related matters. He hasn't been in trouble for three years. Defence solicitor Mark O'Sullivan said Ward had €400 compensation for the victim. Mr O'Sullivan said the defendant was very drunk at the time of the incident, was very remorseful for his behaviour, and had apologised to the victim prior to court. Mr O'Sullivan said it is clear the defendant has a problem with alcohol. He said Ward can go months without consuming any alcohol, but when he does drink he cannot handle it. Mr O'Sullivan said Ward, who is married with two young children, really wants to turn his life around, and realises this is the "last chance saloon". He asked the judge to test Ward's bona fides and impose a suspended sentence. Judge McHugh refused to impose a suspended sentence, saying Ward had committed a "woeful act of thuggery". The judge sentenced Ward to four months in jail, adding that he "should be getting eight months". Ward immediately appealed the sentence.